High Spirits is a luxurious 60ft U.S. Coast Guard certified and inspected non-smoking vessel certified for 47 passengers plus crew. Plenty of space outside on the decks and indoors as well for a break from the weather. High Spirits is powered by twin John Deere eco-friendly diesel engines. Our engines are muffled below deck for a quiet ride. There’s an awesome upper deck accessible to passengers 18yrs+—the perfect vantage point for spotting wildlife and taking great pictures. High Spirits has a small snack bar, books and toys for kids, and a clean restroom. 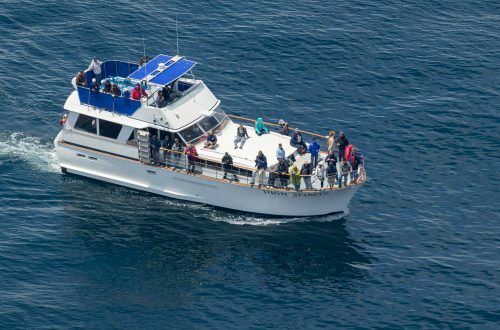 Blue Ocean Whale Watch’s top priorities are passenger safety, respect for wildlife, and having fun. Our whale watch is an owner-operated business 99% of the time. We love what we do and it shows. Every day on the bay is different and we’re always excited to see what’s next and share the experience with our passengers (we’re often told our enthusiasm is contagious!). When it comes to the ocean, we’re the visitors and we respect its creatures. We’re there to observe and appreciate, not interfere. To put it simply, Kate is the ultimate whale geek. She’s been a whale watching naturalist on boats in the Monterey Bay since 2008 and goes shore-based whale watching on her days off (seriously). 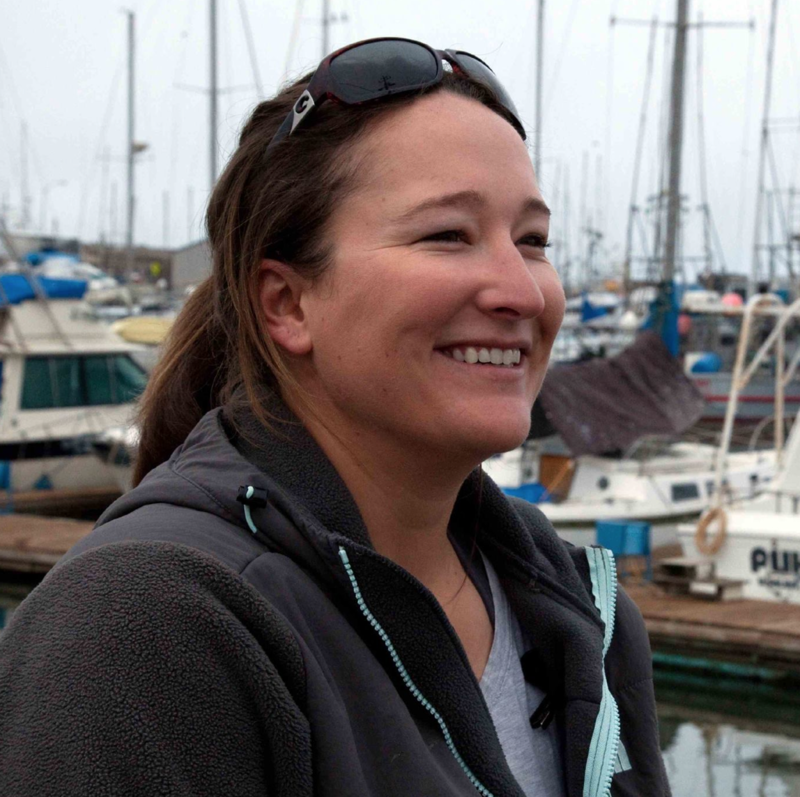 Kate is a member of the Whale Entanglement Team and has assisted in several whale rescues. She’s also a photographer and posts photos after each trip for passengers to enjoy. Kate has gained most of her knowledge through experience and a passion for staying informed; so passengers receive the most up-to-date knowledge on the tours. Kate became a licensed Captain in 2015. 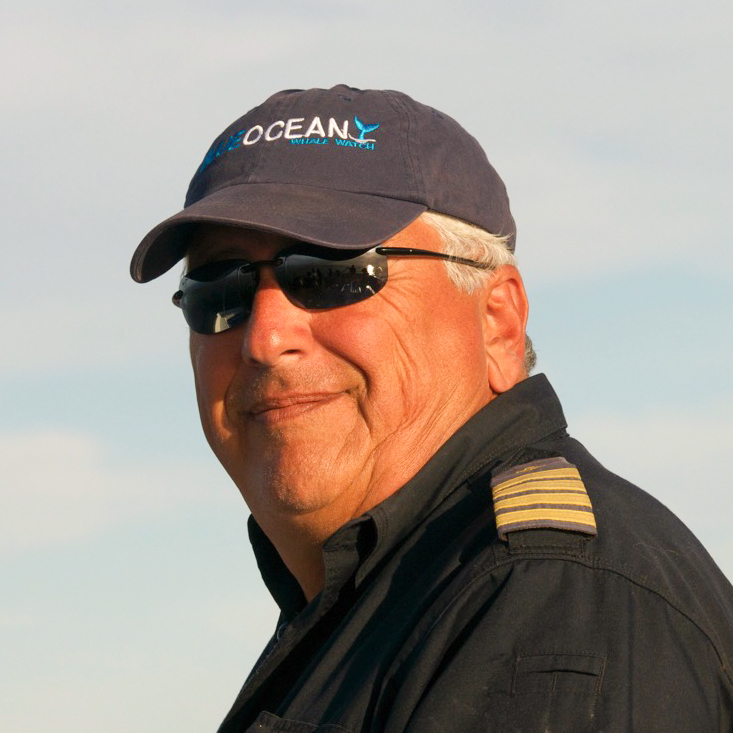 Captain Jim Davis has sailed and cruised most of the oceans of the world for the last 35 years. His life on the seas began when he joined the Naval Academy and then spent years in active service as a Navy Officer for the NATO forces and then as a Coast Guard Commander. A certified diver, Capt. Davis’ resume also includes 2 Atlantic crossings, a solo sailing trip from California to Costa Rica, semi-submersible operations at Catalina Island and finally a whale watch boat captain in Monterey Bay.